Twenty Dragon Tampan Paminggir people. 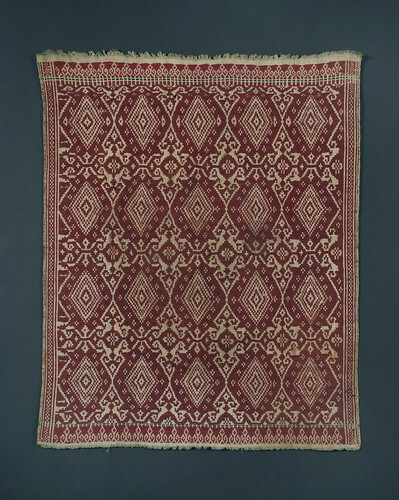 Lampung region of Sumatra 19th century, 65 x 81 cm. From the library of Darwin Sjamsudin, Jakarta. Photograph by D Dunlop. then we say that F provides a perfectly inertial frame of reference. This condition is approximated when the total number of quarks $N$ is enormous. Because if the total number of quarks is huge, there will likely be some mix of quarks and anti-quarks making the $\Delta n$ terms in the numerator tend toward zero, even as the denominator gets larger. Definition: If a frame of reference is rigid, inertial and non-rotating then we call it an ideal reference frame. We often assume that frames are ideal and then use the icon shown on the left to represent these qualities. Sensory interpretation: An ideal frame of reference is big, grey and uniform.